There are many teachers who have contacted me about using iPads for the first time in 2012. Over the next few weeks I will be presenting some tips on how you can use your Jacaranda eBookPLUS titles with your iPad. PaperPort Notes is a useful app that allows you (and your students) to annotate web pages in JacPLUS with your own notes. It is a free download from iTunes at http://itunes.apple.com/us/app/paperport-notes/id476134017?mt=8. All annotations and notes can be saved and bookmarked. 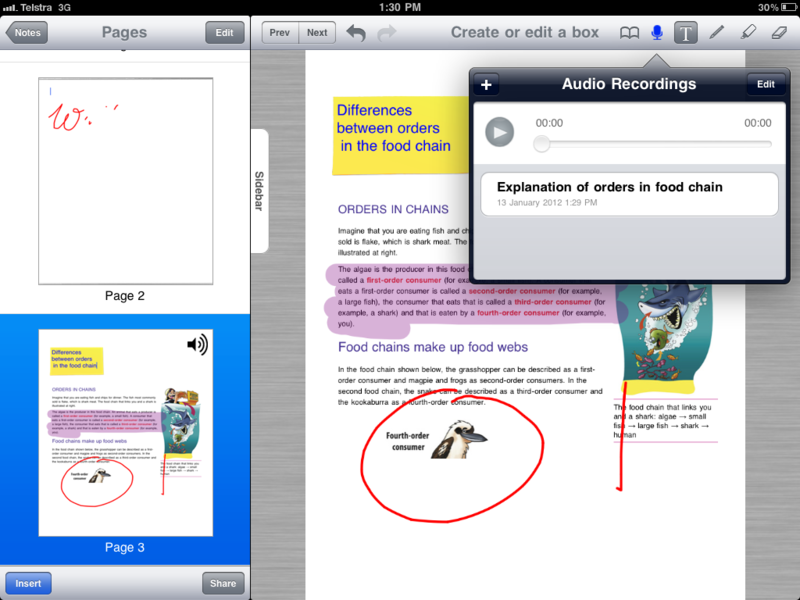 Hence students can collate a record of all annotations and notes in their eBookPLUS title during the year. You can also add audio recordings of your notes. 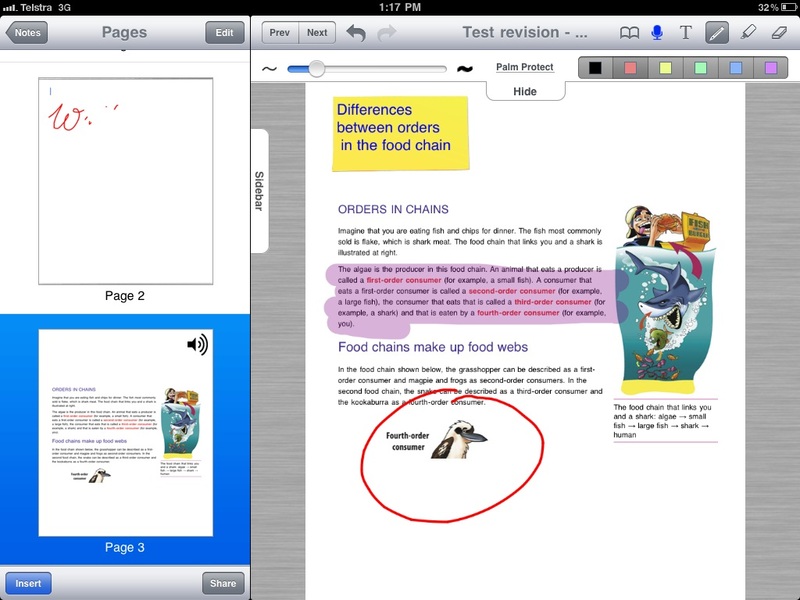 PaperPort Notes allows you to prepare annotations & notes prior to a lesson. All you have to do then is connect your iPad to a data projector in class and display your saved notes. 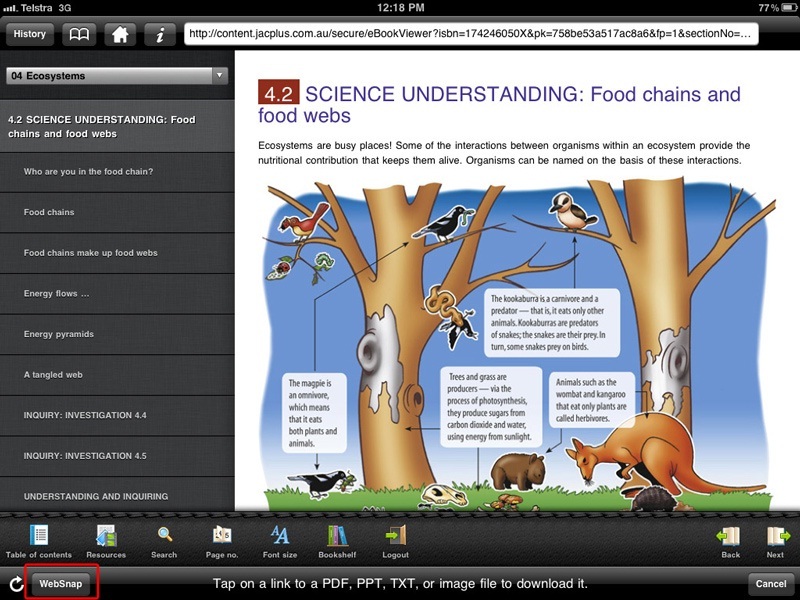 Alternatively, you can add annotations and notes while you are presenting eBookPLUS content to your class. Hence you can use this app to turn your iPad into an interactive whiteboard.